Rahul Dravid: Has the wall fallen? Has the Wall fallen as far as One Day Internationals go? Two months ago he was the Indian Captain. Now, he doesn't even find a place in the selectors best 15. His average in the last 10 games was just 8.88. But then many have done worse and been treated better, including, many would argue, Virender sehwag who's back! So why was Dravid dropped from the first two one-dayers against Pakistan?Till a few weeks ago, he was a leader par excellence and Mr Dependable when it came to his batting. However, Rahul Dravid is facing perhaps the worst crisis of his cricketing career.On Saturday, he was left out of India's 15-member squad for the first two ODIs against Pakistan. But the manner of his axing has left many unhappy. "We're not going in for a rotation policy. But if we feel any cricketer is jaded and needs rest, he will be dropped," said Dilip Vengsarkar, chairman of selectors.This comment from the Vengsarkar two days before the team was picked for the first two one-day games against Pakistan was an indication of things to come. While questions on Dravid's one-day future had already been raised - when he sat out of the final game against Australia - it seemed unlikely that a man who has over 10,000 runs in one-day cricket would be dropped from a high-pressure series against Pakistan. However, sources say Dravid, who 45 days ago was captain of India is paying the price for an ego clash with Vengsarkar, a man with whom he has shared an increasingly troubled relationship. 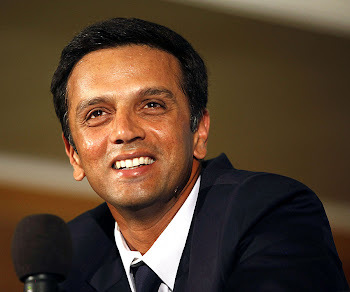 The final straw being Dravid's decision to inform BCCI President Sharad Pawar of his decision to resign from captaincy without keeping Vengsarkar in the loop. Sources say that at the selection committee meeting in Ahmedabad when a selector suggested making a courtesy call to Dravid, Vengsarkar's response was: "Why should we call him? Did he bother to inform the selection committee before he resigned as captain? "So Dravid's ouster did not take more than 5-10 minutes of the 45-minute meeting. And while another former captain Sourav Ganguly may well be next on the chopping block, Dravid's poor performance in six matches against Australia - where he averaged around 10 - provided Vengsarkar with more than enough ammunition for the unceremonious ouster. The official version, however, was that Dravid needed to regain form and fitness. "He needs to work on his form. He will play for the state and then we will see. We've chosen the best available team. We also have to think of people who can field well," said Vengsarkar. If cricketing logic were to be applied, the man who averaged 40 in the World Cup, 64 against Bangladesh and 37 recently against England seems to have been dropped for six ordinary outings. But as one national selector told NDTV shortly after the 45-minute meeting on Saturday, "there is no cricketing logic to this decision".